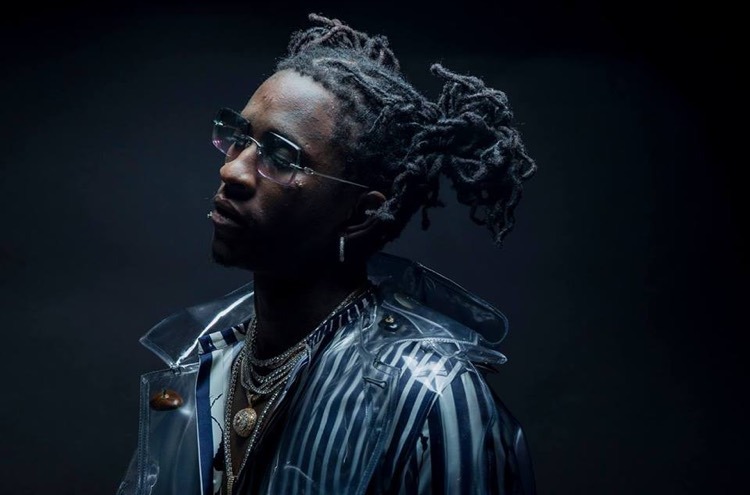 It appears that rapper Young Thug has turned himself into to Georgia county jail this Wednesday. According to DeKalb County judicial documents obtained by XXL, the young rapper is being charged with eight violations the Georgia Controlled Substance Act. The charges apparently stem from a prior arrest made on September 2017, involving Young Thug, Cedric Jones, and Sergio “Gunna” Kitchens. That day, cops pulled over a 2016 Mercedes-Benz with the three men inside due to concerns related to the car’s tinted windows. When they were pulled over, the cops searched the car only to find a gun and several varieties drugs in the vehicle. As a result, Young Thug (who’s real name is Jeffery Lamar Williams) was arrested on eight charges, including possession meth, hydrocodone, and weed with intention to distribute. Additionally, he was charged with two counts possession codeine, one for amphetamine possession, one for Xanex possession, and one for possessing the firearm. Similarly, Kitchens was charged at the time with a misdemeanor window tint violation and possession one ounce weed. Jones was also booked for six drug-related charges, similar to Williams. A warrant for Williams’ arrest was placed on Monday (September 10th). The rapper apparently found out while driving back home from an intended appearance at J. Cole’s KOD tour. He was a no-show at the event, prompting initial ire and outrage from disappointed fans. The DeKalb County Sherrif’s Office database still displays Thug’s booking information. It is currently unclear when and if he will be able to post bail. Check out Claydee ft Lexy Panterra's "Dame Dame" and the producer behind it!